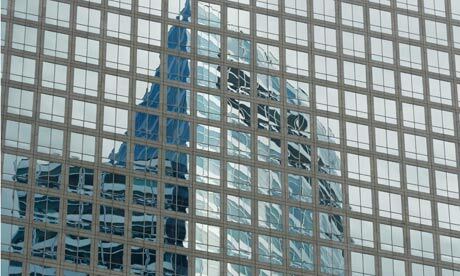 US investment banking firm Goldman Sachs is cutting the pay of hundreds of its London bankers. The bank, which ratcheted up basic pay in 2009 to avoid the Labour government’s bank bonuses tax, has invoked a clause in its investment bankers’ contracts to bring it back down. Two years ago, Goldman, which employs 5,500 staff in London, changed the contracts of UK-based bankers to increase salaries by 50-100% while decreasing bonuses. Last year, the bank paid its staff an average of $430,000 (£263,000) and its total pay and bonus pool amounted to $15.3bn. The pay cut is thought to affect staff at managing director or partner level. Goldman refused to comment. Chris Forbes, the chief executive of PHD Search and Selection, a banking-sector headhunter, said paying bankers more in salary and less in incentives does not produce the best results for banks as it removes incentives. The pay cut comes after Goldman announced an 18% fall in second-quarter revenue to $7.28bn and banks worldwide have announced 60,000 redundancies over the last few weeks. Barclays said on Thursday that it was cutting 140 jobs in its corporate business arm as part of plans to reduce costs. A spokesman for the bank said the redundancies will be in the UK infrastructure operations for Barclays Corporate, which is being brought closer together with the Barclays Capital investment bank arm. Barclays Corporate cut about 500 infrastructure jobs in May. It employs just over 11,000 staff. New research suggests that junior bankers on Wall Street are so unhappy with the rewards on offer that they are considering quitting for jobs in private equity. A survey by headhunting firm Capstone Partnership found 60% of young US bankers are dissatisfied with their pay and want to leave the industry. One investment banker said the banks had breached the “tacit understanding” that staff would be well compensated. Considering “the sacrifice I make in my personal life (100-hour work weeks, cancelled vacations, etc), this business has to be more rewarding,” the banker said, according to a Bloomberg report on the survey. More than 80% of respondents said they did not believe their pay matched their effort and performance.